Finally there's a cost-effective way of adding the prestigious green address bar to all your websites - the Comodo® EV SSL Multi Domain Certificate. For those that are serious about increasing online sales, Comodo® EV SSL + Multi Domain is an ideal choice that protects your site from phishing scams and increases customer transactions. Comodo® EV SSL + Multi Domain ensures that your company name is shown within the SSL Certificate as well as the browser address bar, instilling further confidence to your visitors that your website and company is legitimate and of good standing. Your SSL Certificate can be purchased, validated and issued today! Get your online business secured quickly using our seamless validation process. All the major browsers and devices trust Comodo® SSL Certificates, providing you with the highest level of security and compatibility with 99.9% of the world's internet population. When you buy a Comodo® EV SSL + Multi Domain Certificate you can be confident that your SSL Certificate will be trusted by all modern devices and web browsers. Great News! Your SSL Certificate will be issued by Comodo® using our fully automated fulfillment system. Comodo® are a leading SSL Certificate Authority. Our pricing structure for Comodo® EV SSL + Multi Domain is well below the recommended retail price. Buy for multiple years and the cost of Comodo® EV SSL + Multi Domain works out to be excellent value at its lowest price of only $124.50 per year. Our unlimited reissuance policy for Comodo® EV SSL + Multi Domain means that we will reissue your Comodo® EV SSL + Multi Domain Certificate free of charge for the life of the SSL Certificate validity, for any reason. Comodo® EV SSL + Multi Domain can be installed easily on any server that supports the use of an SSL Certificate. Trustico® includes the added benefit of Unlimited Server Installation licences and a $1,750,000 warranty. Buy Comodo® EV SSL + Multi Domain to initially secure three sub domains or domain names for just $124.50 Secure even more during the ordering process for just $99.50 each. 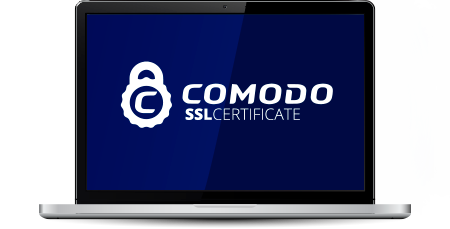 Comodo® EV SSL Certificates feature the breakthrough technology that instantly spells trust on your website. As soon as a customer enters the secure area of your website, the browser address bar turns green. This is a step up from the gold padlock and means that your business has been fully validated for e-commerce and that your website protects your customers with the highest possible encryption. If you're not sure which SSL Certificate to choose please call +1 (888) 8300 SSL or visit our Contact Us page to speak with us via Live Chat and E-Mail. There's no risk when purchasing your new SSL Certificate right now via the Trustico® website. Click Here to find out about our No Risk Refund Guarantee.